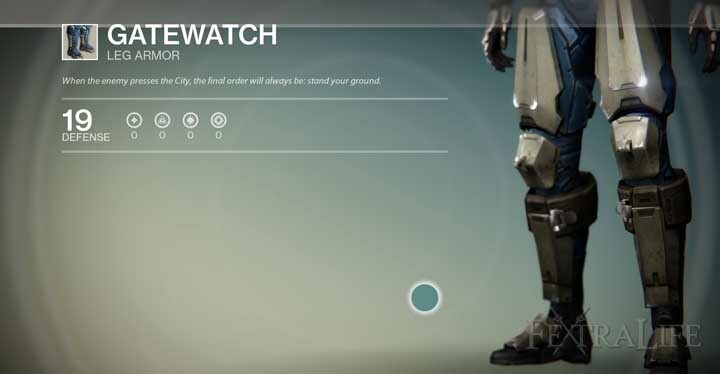 Gatewatch is a common Armor found in Destiny for the Titan class. 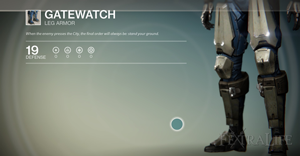 Gatewatch does not come with an Armor Upgrade slot. 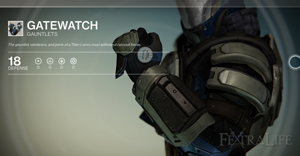 These Armor pieces are random drops from enemies in Story Mode, Strike, Exploration and can be awarded in Crucible or Strike. 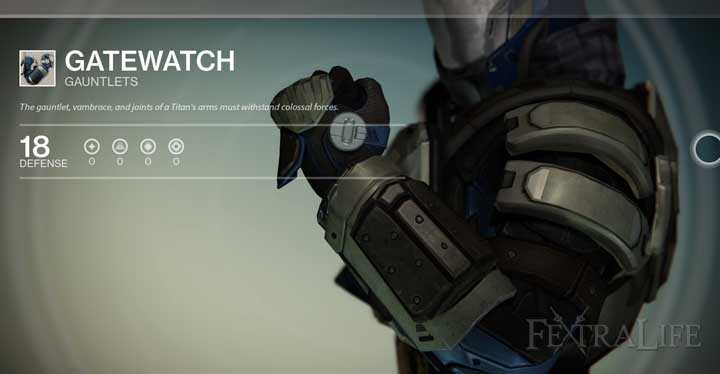 The Armor Value of each piece varies by the level of the piece obtained. 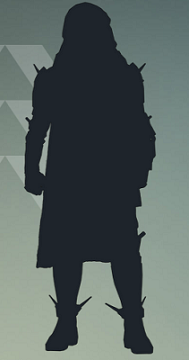 Note: You cannot obtain Armor from a different Class than your own via drops or vendors.